The Harris Initial Teacher Training programmes for primary and secondary offer a strong support network and exciting environment in which to train. The Harris Federation has built a reputation based on a family of academies that, across the board, are setting standards of excellence and fulfilling high expectations. We have an outstanding record of success in providing excellent education for young people and trainee teachers. 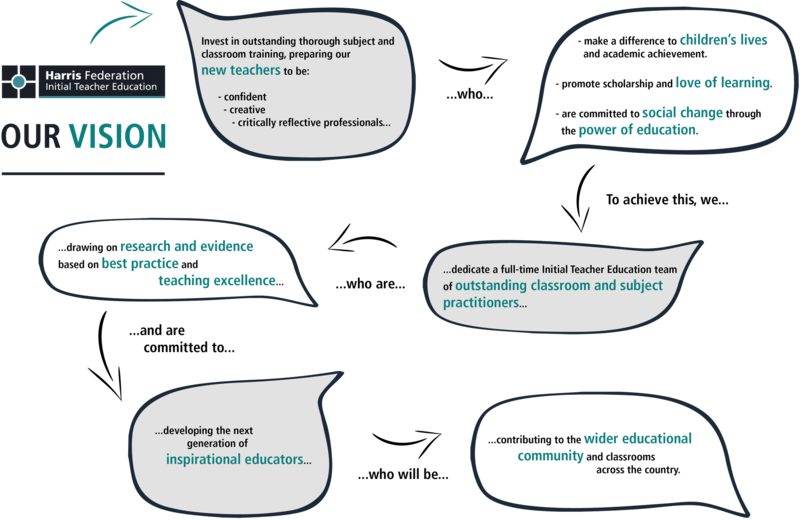 We are experienced in delivering high quality CPD training for school leaders and are committed to ensuring that trainee teachers receive the best training, support and preparation, allowing them to work in schools effectively. With us, you will always be encouraged to innovate, to try new things and to do what suits the education of the children and teenagers we serve. 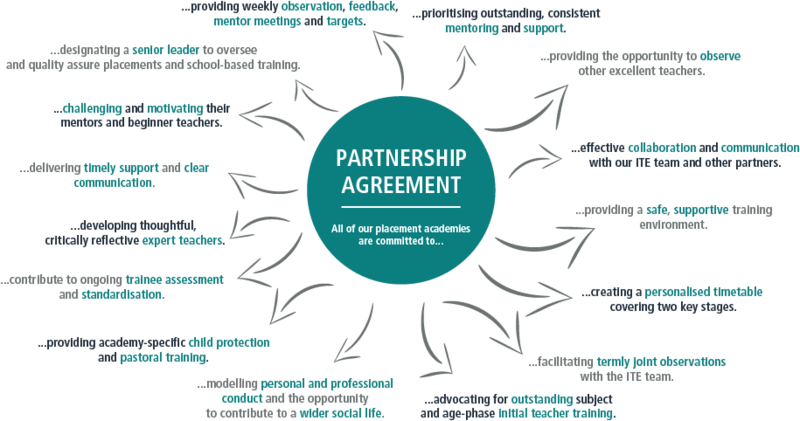 We have a culture of sharing best practice and finding ways to say yes to what works best for you in your Academy, department or classroom and in nurturing your career. The staff in our academies are united in providing a brilliant education for all students. We have combined the best elements from a range of training routes to ensure that you, as a beginner teacher, leave our Initial Teacher Education course feeling supported, confident and well prepared. The year-long programme, which leads to QTS, a PGCE and 60 Masters Level Credits, will give you access to invaluable school and classroom practice as you learn on the job at a placement in one of our 30+ academies. Staff in the Harris Federation academies will give every support to trainees on the programme, and we want you to enjoy your time with us. Please feel free to contact us for a friendly chat and advice about joining our next group of brilliant beginner teachers here at Harris Initial Teacher Education. What are the funding options available? There are two funding routes open for our Initial Teacher Education course through School Direct: A salaried route and a fee-funded programme. Please visit our Salary & Benefits page for information. Harris Federation’s School Direct course offers a large variety of contexts and educational settings. Harris Federation has over 40 academies spread across London, allowing you the possibility to train without needing to consider relocation. Your potential placement school would be discussed with you by the Head of ITE at interview stage. Since September 2017, the Initial Teacher Education team have been based at our new training space in Southwark, where Harris Academy Bermondsey is currently located. This will be where all central training takes place in our new training rooms. This central London base allows you to be in the midst of one of the most exciting cities in the world, using purpose-built training spaces and within easy access of all the Federation academies. Our course also involves a second contrasting school placement. The benefit of having more than thirty schools in the Federation allows us to find you a suitable placement within another of our academies. Please refer to our How To Apply page for a clear and concise breakdown of the UCAS application process. Please refer to our How To Apply page to see whether you are eligible for a place on the course. Alternatively, Get Into Teaching has a very useful page on their website detailing the specific entry requirements for School Direct. I qualified abroad/I did not pass my GCSEs, can I still join the course? You may definitely still be eligible to join the course. How does Harris Federation's recruitment process work? Please refer to our How To Apply page to view a clear and concise breakdown of our recruitment process, including applying through UCAS and what will happen when we have received your application so you know what to expect and can prepare. What documentation will you need at induction? At either interview or induction stage, we will take copies of the following documents. Please ensure you are able to provide these documents when requested. For all qualifications, we can only accept an original Certificate or Certified Statement of Results. Provisional statements of results (often issued alongside certificates on results day) or headed and signed letters will not be accepted. You can order duplicates from your exam board or university. We will then process an Enhanced DBS Check (including Barred List and Prohibition Order checks), Occupational Health Questionnaires and gather your bank details. We will take a photograph of you and check your progress with Skills Tests and your availability for Summer School. Please refer to our Subjects & Courses page for details of the subjects and phases that we offer here at Harris, including salaried and fee-funded options and the relevant UCAS codes. You will be based in your placement academy for four days a week, and attend a training day back in Westminster one day a week. All of our trainees are required to work for 40 confirmed training days during term time, as well as being available for a minimum of 160 days in school (200 working days in total). You will have the same school holidays as the rest of the Federation, however you may find it useful to spend this time working on any extra research/assignments you have been set during training. Your weekly timetable will be decided at the discretion of your academy. 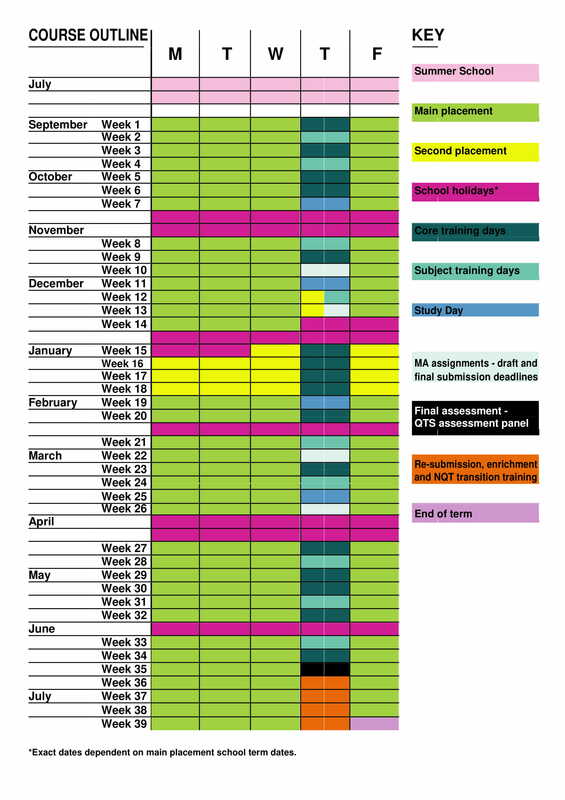 All academies are sent the same approximate guideline for timetabling, but as lesson times and lengths vary, each trainee will have their own unique timetable. To reflect your status as a new professional who is just starting out in your teaching career, you will start with a reduced timetable and build up during the course of the year. The timetable will always allow for regular mentor meetings, collaborative working and observations of others. It will never exceed the loading of an NQT and you will be supported at each step of your training journey. Our School Direct course starts on 1st September each year. Although your contract dates are 1st September to 31st August, we also hold an introductory summer school prior to your start date. This is an important and invaluable training period in which you will be introduced to your mentors, fellow trainees and the basics of training. If you accept a position with us, we recommend giving your current workplace advanced warning of the time off you may need to take for Summer School. 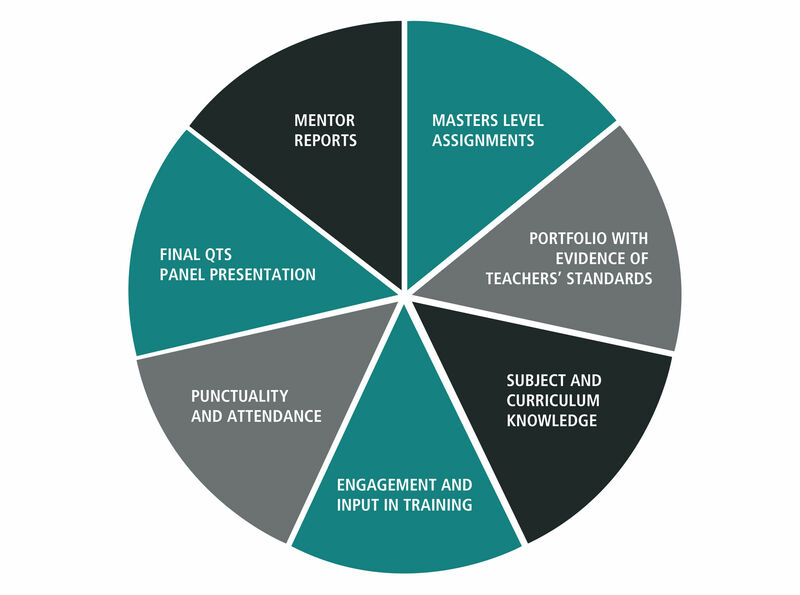 As an Initial Teacher Education trainee, you will be assessed through a professional portfolio which will be used to build evidence of how the standards for Qualified Teacher Status are being met. Evidence will include observations of your teaching and written assignments which demonstrate clear understanding of the profession. Your classroom experience will increase in each successive term of the programme as confidence and ability develops, and personal support will be available to you throughout the whole process. If you have any questions, queries or concerns about our course, please do email the team on info@harrisschooldirect.com, or call us on 0208 253 7758. We are always here to help with any questions you might have and we look forward to hearing from you.